Fish tacos are one of the most popular fish dishes, and it’s not hard to see (or taste!) why. They’re light, refreshing, easy to customize and quick to make for weeknight dinners. If you’ve been making the same fish tacos all summer long, why not try a twist? 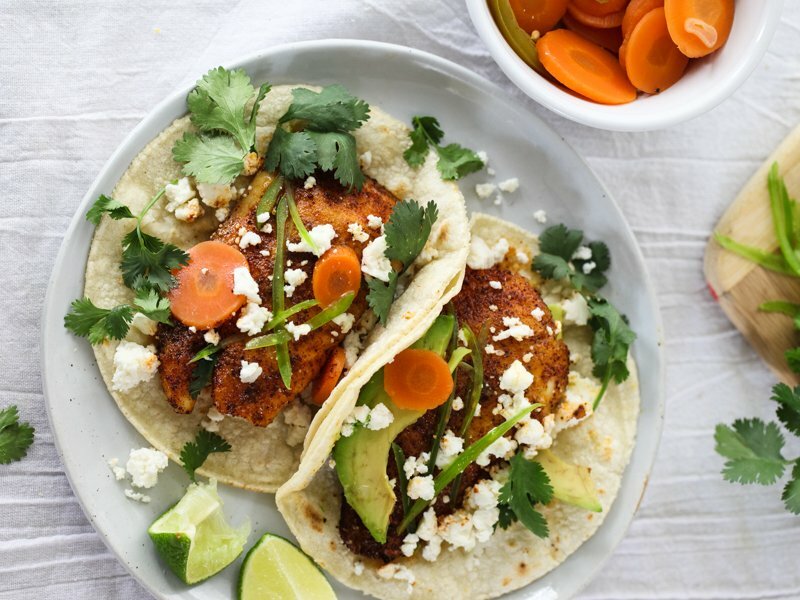 We’ve rounded up our favorite ways to add a little extra something to your fish tacos—you’re sure to find one you love. If you like dishes that are on the sweeter side, you have to try this Fish Tacos With Strawberry Salsa recipe from Epicurious. Instead of a traditional tomato salsa, this recipe has a strawberry salsa made from fresh strawberries, jalapeno, chives and lemon juice. 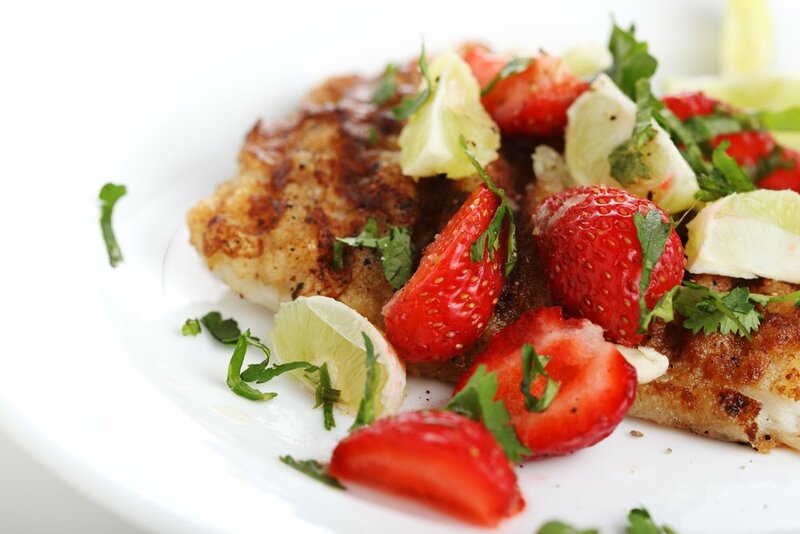 This delicious combination adds a summery twist to the fish. 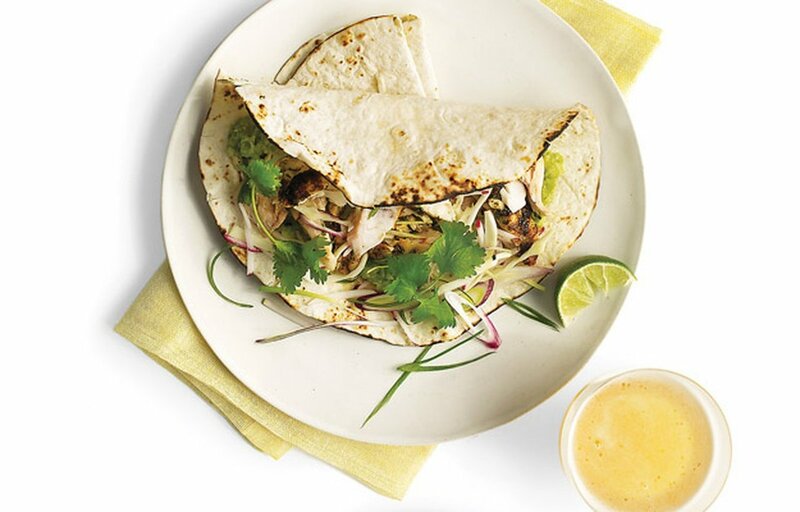 The fish in these tacos is light and flaky and the napa cabbage adds a delicious crunch. 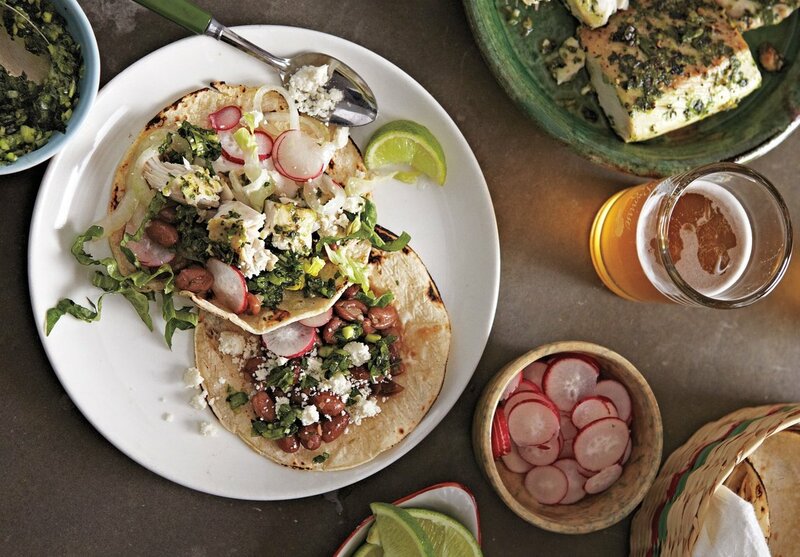 This Bean and Fish Tacos recipe from Martha Stewart features lots of unique flavors that come together in one delicious, Mexican-inspired dish. The beans are mixed with scallions, jalapenos and cilantro and are served alongside the fish with radishes, cotija cheese, lettuce, lime wedges and onions. For a traditional Mexican touch, serve the fish tacos in freshly toasted corn tortillas instead of warmed flour tortillas. When it comes to fish taco toppings, nothing beats a good slaw and we think this Grilled Fish Tacos with Radish Cabbage Slaw recipe is one of the best! This recipe starts with a delicious blend of spices like chili powder, oregano, garlic and cilantro that gets rubbed directly into the fish before grilling. The slaw is made with radishes, cabbage, avocado and scallions, which creates a delicious crunch that pairs perfectly with the flaky fish. 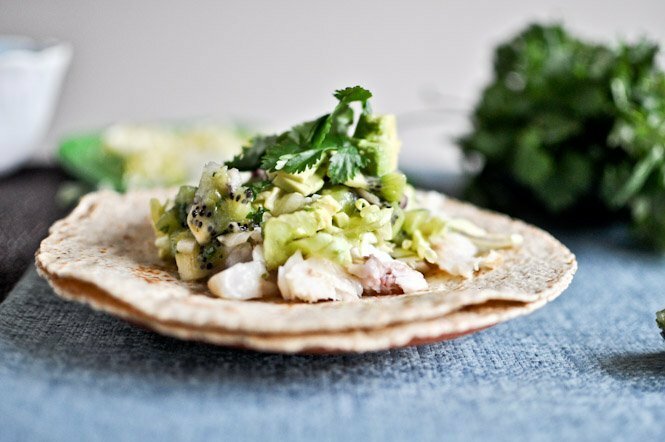 For a unique fish taco recipe with a fruity twist, try this Grilled Coconut Lime and Tilapia Tacos with Kiwi Salsa recipe from How Sweet It Is. 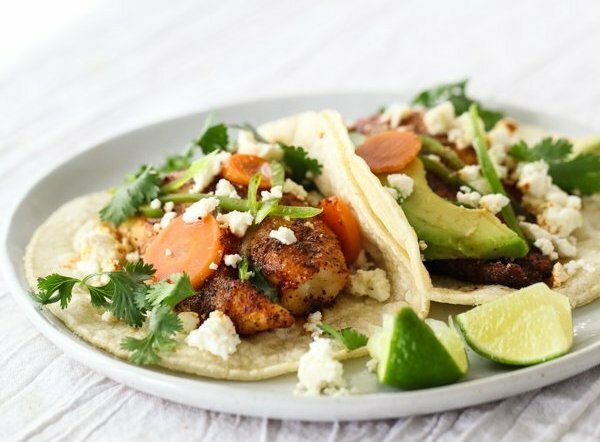 This tropical take on tacos features fresh Tilapia that’s been marinated overnight in coconut milk and lime zest to tenderize the fish and develop the flavor. Once the fish has been grilled and is ready to eat, it gets topped with a salsa made up of kiwi, red onion, cilantro and jalapeno. If you like your fish on the spicy side, these Spicy Fish Tacos from Foodie Crush are a must-try! 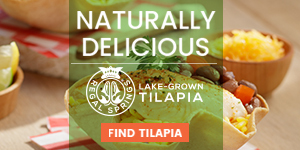 The Tilapia is crusted with just a bit of olive oil and a blend of spices like cumin, chili powder, smoked paprika and onion powder, and is then garnished with toppings such as pickled carrots, cotija cheese, avocado slices and jalapeno. Next time you’re in the mood for fish tacos, give one of these variations a try! You may just find a new favorite topping, too.